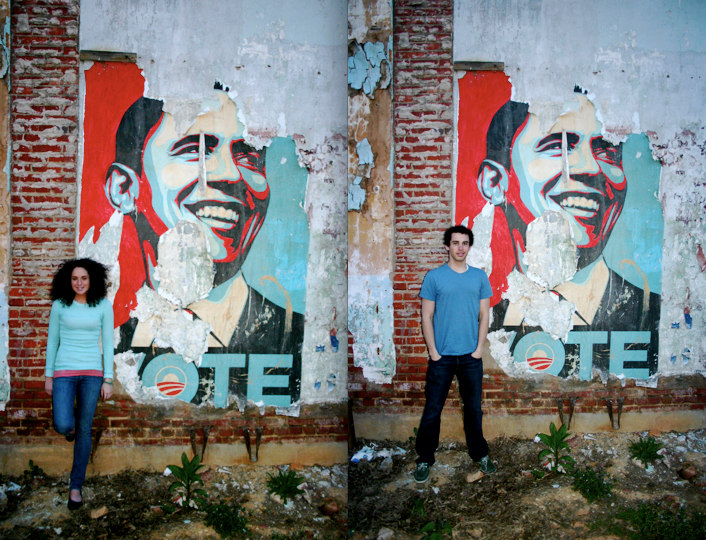 Last summer when my sister was here, she found the coolest Obama poster, but never was able to take a picture of it (it's really not a great neighborhood.) Well, Kar and BT are visiting and guess what one of their first photos was? Yep, this poster. Seriously, if you go to this location to see the poster, you'll get it. And for the tech savvy folks, here's a interactive map to view this location. #386 - "ewwh, baby turd"
#383 - Can you guess?